This is a review of MacBook Air which which comes with an 11 inch or 13 inch screen. It has the latest Intel processor and fast flash storage and graphics, it is claimed to be the ultimate everyday notebook. But will it do the job you want it to do and is it a bit expensive for what you get? High-resolution LED-backlit glossy widescreen display. 1.7GHz dual-core Intel Core i5 (Turbo Boost up to 2.6GHz) with 3MB shared L3 cache. 1.8GHz dual-core Intel Core i5 (Turbo Boost up to 2.8GHz) with 3MB shared L3 cache. Configurable to dual-core 2.0GHz Intel Core i7. 4GB of 1600MHz DDR3L onboard memory. Configurable to 8GB. Dual display and video mirroring: Simultaneously supports full native resolution on the built-in display and up to 2560x1600 pixels on an external display, both at millions of colours. Camera. 720p FaceTime HD camera. 802.11n Wi-Fi wireless networking;3 IEEE 802.11a/b/g compatible. Up to 7 hours wireless web. Includes Mail, Messages, Contacts, Calendar, Safari, Reminders, Notification Center, Notes, Dictation, iCloud, Time Machine, FaceTime, Photo Booth, AirPlay, Game Center, the Mac App Store, iTunes, Gatekeeper, Twitter and Facebook integration,5 and more. Learn more about OS X Mountain Lion. Includes iPhoto, iMovie and GarageBand. Learn more about iLife. 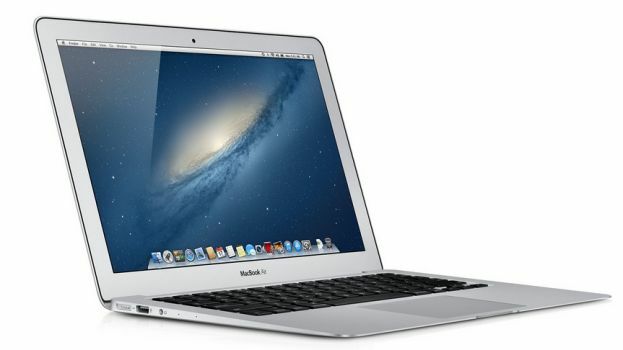 Is the MacBook Air suitable for a home recording studio? Yes it is. It is more than capable of doing the job. Its powerful, light weight and best of all portable. The only drawback is the small screen but if you can manage with a 11 or 13 inch screen you will be more that happy with the MacBook Air. I hope the Review of MacBook Air has helped you.